It’s been a while since I first posted pictures of Kate’s bedroom (Kate’s Nursery: Part 1 and Kate’s Nursery: Part 2), so I thought it was time to share some updates! 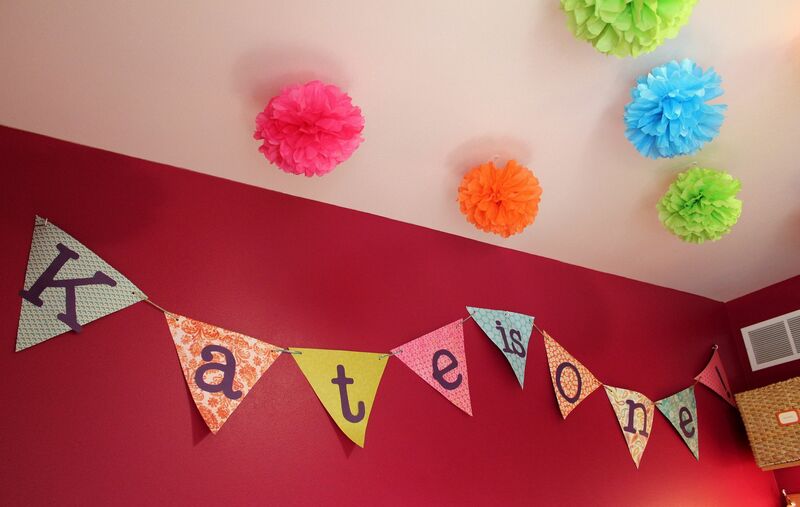 One of the biggest additions to the room has been incorporating some of my favorite decorations from Kate’s first birthday party. We had so much fun celebrating her turning one and now we get to enjoy a little part of her party every day! 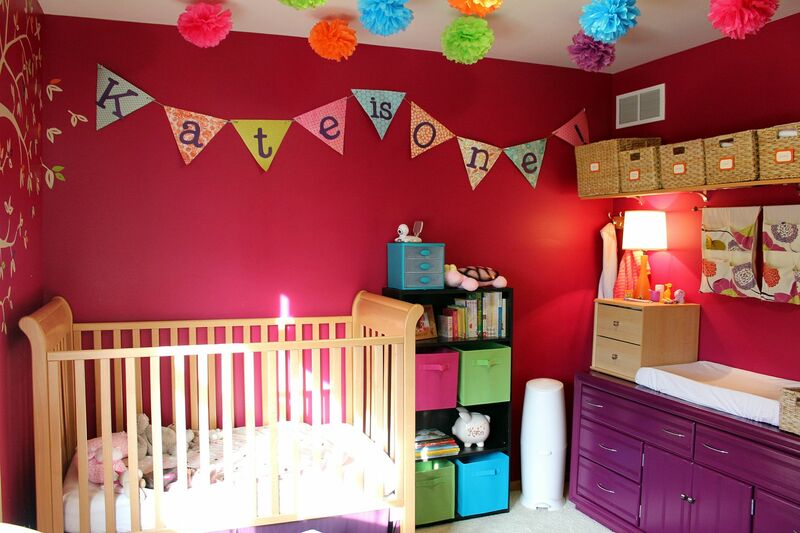 My friend Allison made this “Kate is One!” banner that I just loved, and the good news is Kate is one all year long, so it works for longer than just one day! I couldn’t bear to pack it away once the party ended, so on her bedroom wall it went! I also couldn’t bear to take apart the dozens of mini tissue poms I spent several hours (and several glasses of wine) putting together. 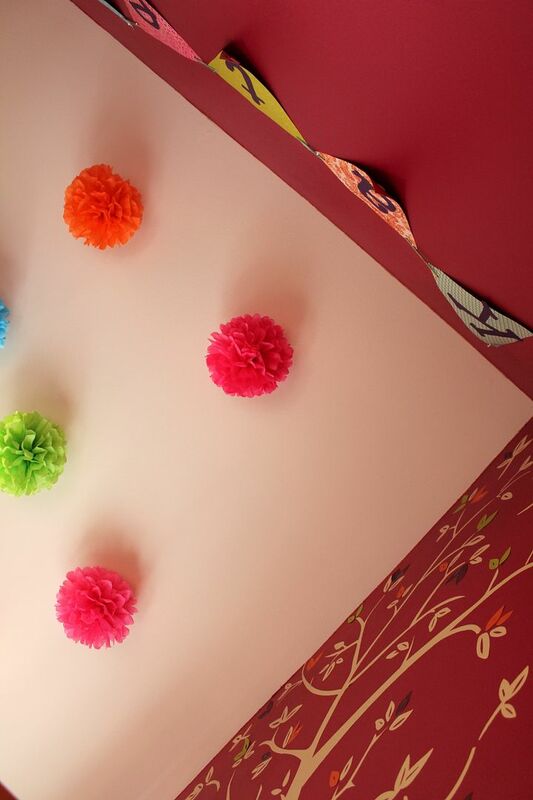 They now hang from her bedroom ceiling for even more fun pops of color! The bookshelf at the end of Kate’s crib is another new addition that came about simply because I needed a good spot to put her video monitor. Luckily having extra storage in a room as tiny as hers is never a bad idea, so the bookshelf is loaded with books, her piggy bank, a picture of the two of us before we left the hospital, her glow star animal thing, and canvas bins that are currently empty and waiting for us to grow into. 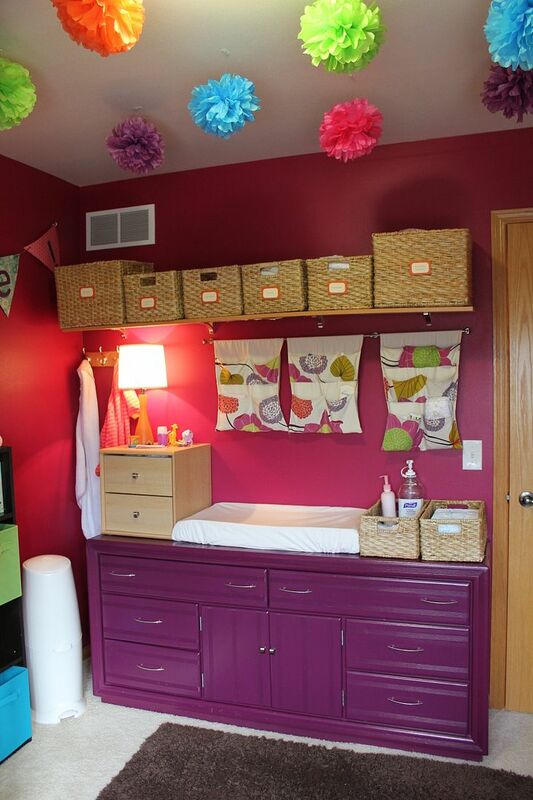 The changing table area has proven to be incredibly functional. You can read more about it here and here, and after nearly two years of use I don’t think I’d change a thing. 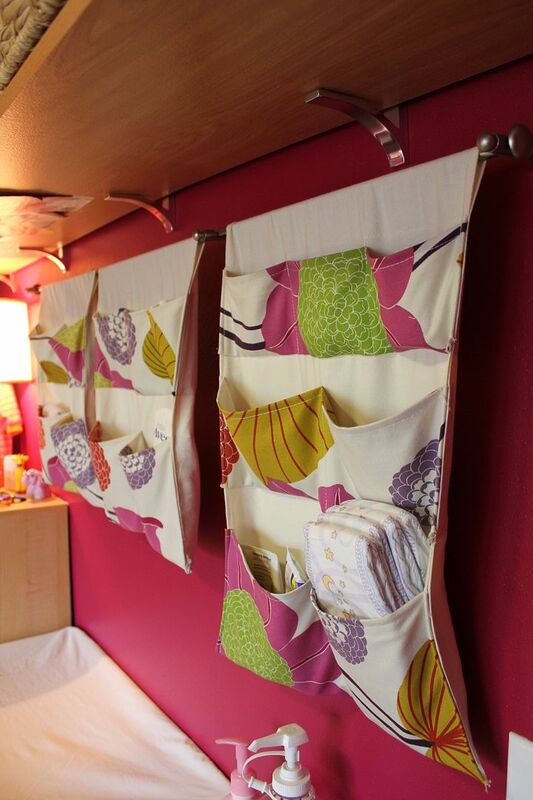 The hanging organizers (made by my friend Steph) have been great. They hold all sorts of things that are nice to have close by such as Kate’s overnight diapers (kept separate from her basket of regular diapers below), diaper cream, lotion, barrettes, ointments, temporal thermometer, comb, etc. 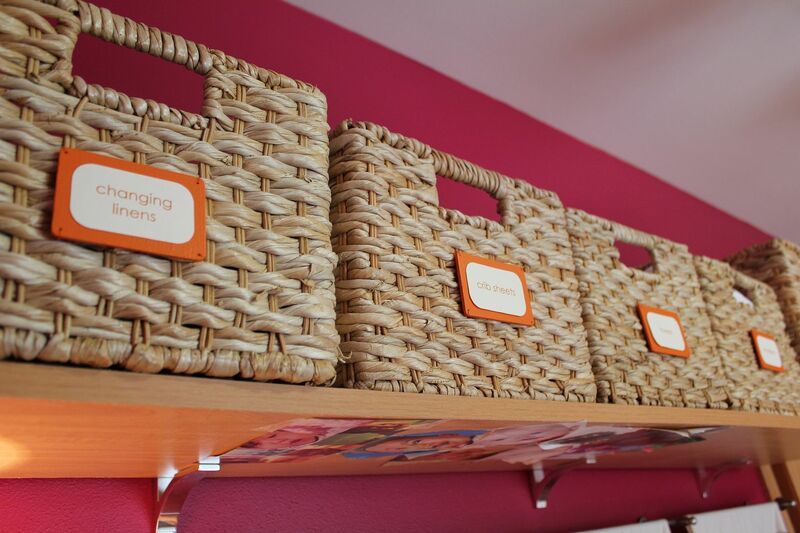 The baskets above hold blankets, crib sheets, changing pad covers, towels, etc. I originally labeled one basket for “swaddlers” which proved to be rather short-sighted since Kate was only swaddled for the first few months of her life. That basket now holds linens for the Pack N Play instead. We always have a collection of random toys and items nearby to keep Kate busy and distracted during diaper changes. Kate’s big teddy bear and my childhood high chair got relocated to the left side of Kate’s room. They’re pretty much the only things that take up space without serving any function in her tiny room, but I couldn’t bear (pardon the pun, haha) to part with them! 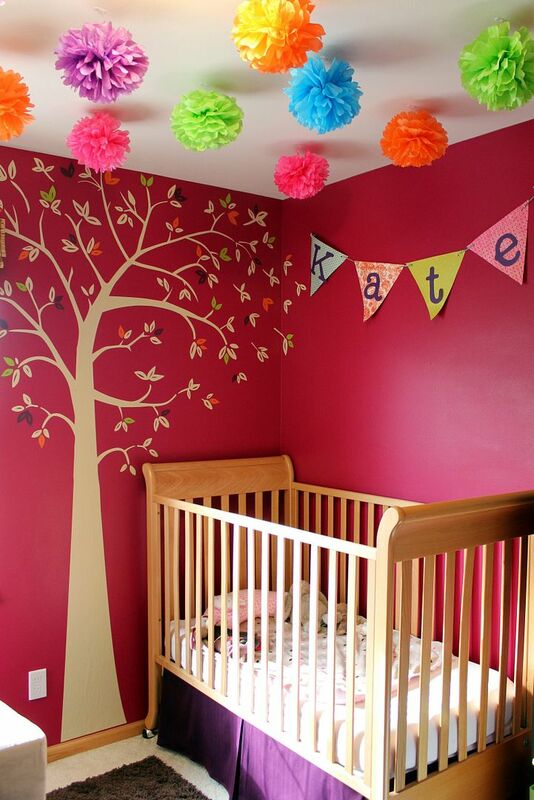 A typical view of the inside of Kate’s crib. 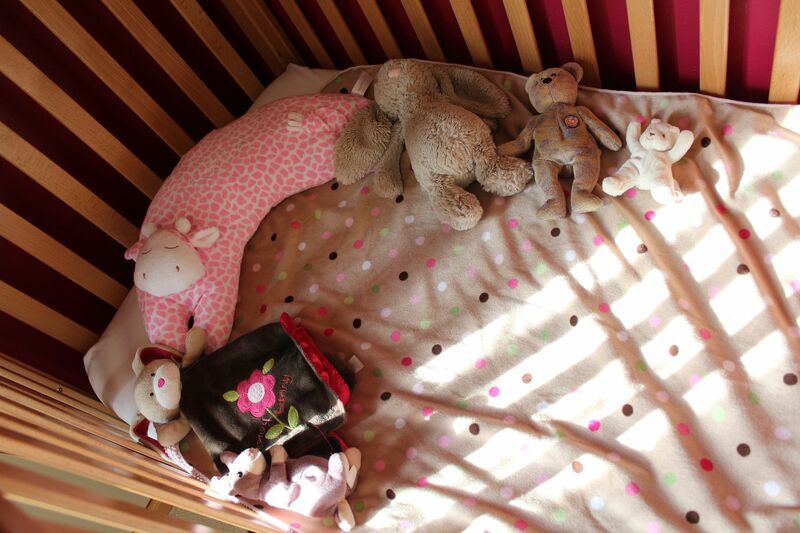 Her giraffe pillow, her beloved Bunny, Teddy Bear, Baby Bear, and on the other side of the pillow: Puppy, and Kangaroo (we get crazy creative with the stuffed animal names up in our house). She also likes to take a board book to bed with her so she can read Bunny and Teddy Bear a story. 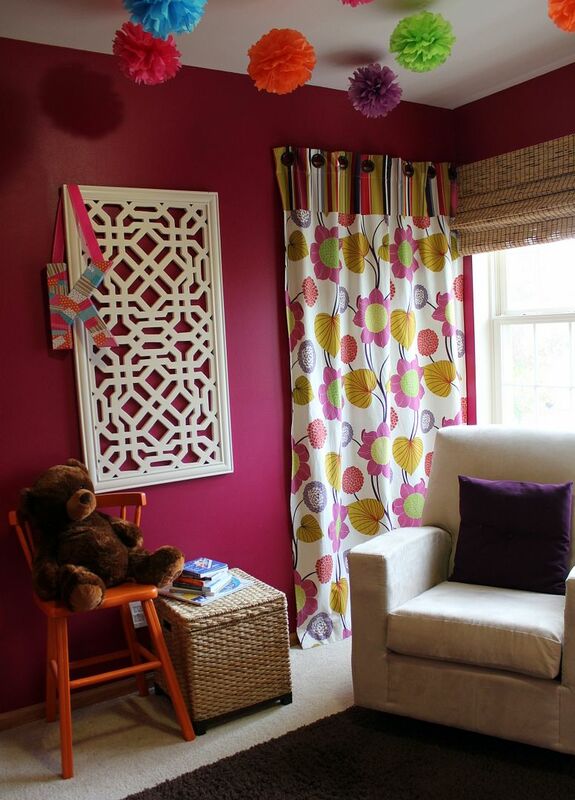 Kate’s room has proven to be incredibly functional, and the bright fun colors always make me smile. The best part about it? Kate loves it, too! 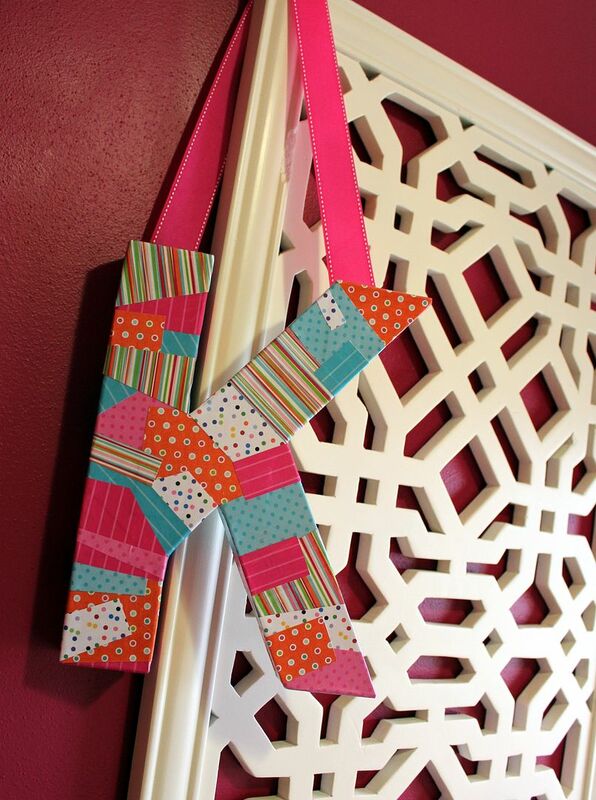 Her room is so pretty! I just love all of the colors! Her room looks GREAT- I can’t believe she’s almost 2! 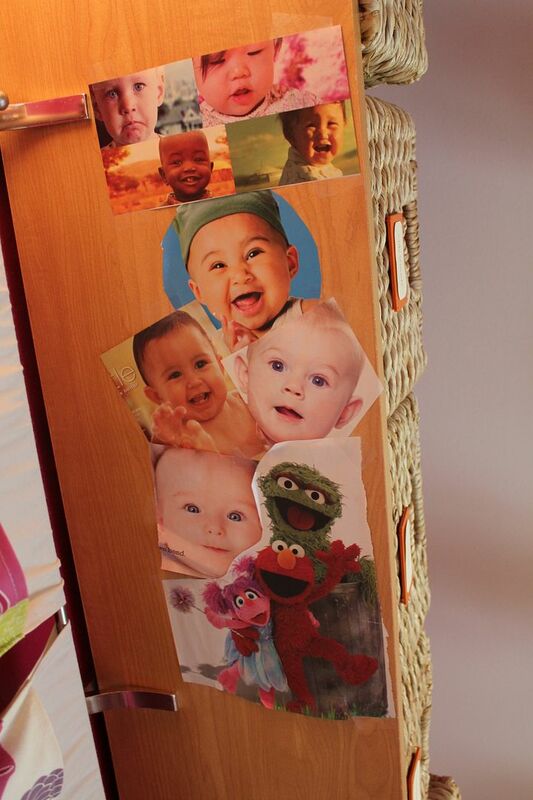 Best baby room I’ve seen! 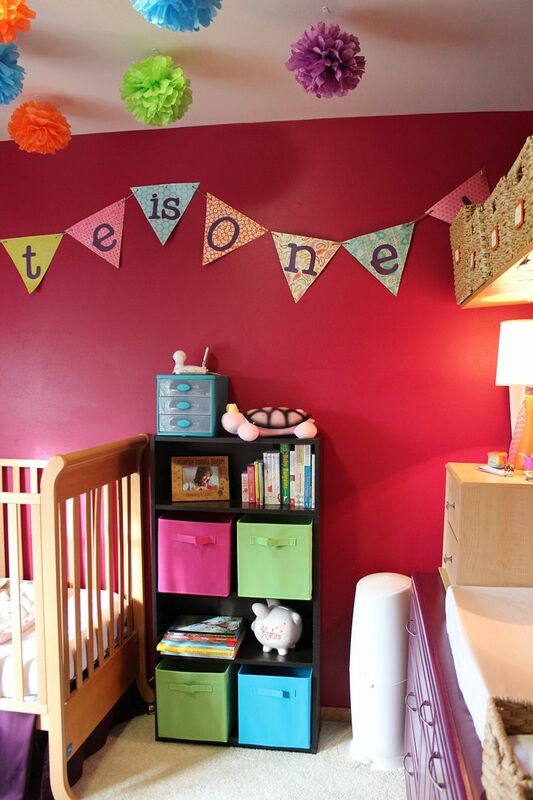 Her room has always been one of my absolute favorites; I think if I have a girl I will use the same colors! 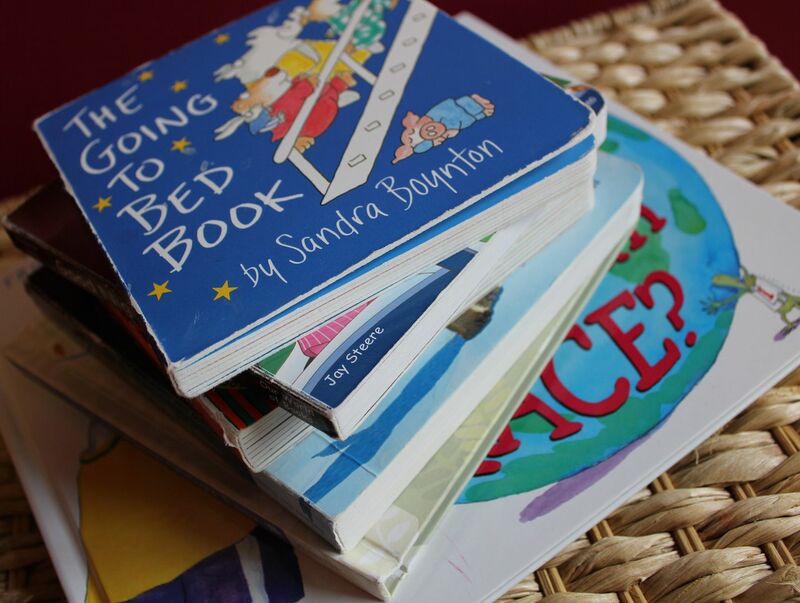 We LOVE the Sandra Boynton book at our house; they are so fun and easy. Do you have the Pajama Time book? Possibly my favorite one in her collection! Very cute, so organized. I can tell she loves it. @carO–We don’t have Pajama Time yet; I’ll have to pick it up. Thanks for the recommendation! 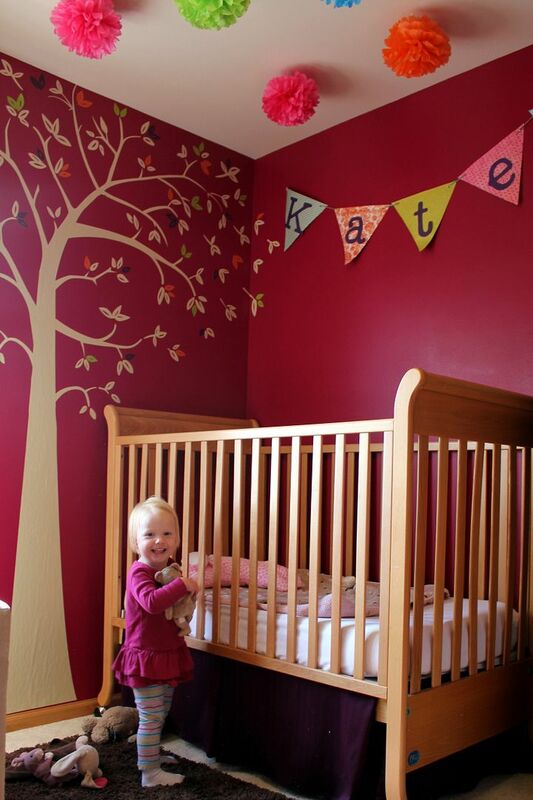 Kate’s room is looking as adorable as ever! And oh, yes, Pajama Time is a must! Kate’s almost 2?!?!?! My jaw is on the floor. I always read…rarely comment, but I started following when she was just born. Time sure does fly!! 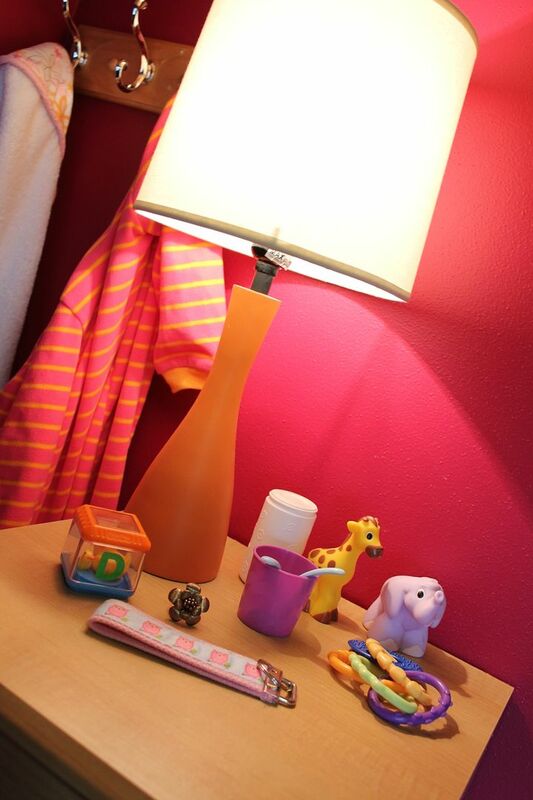 I’ve been slowly decorating our little man’s room and love to hear what works and what doesn’t work for other moms.